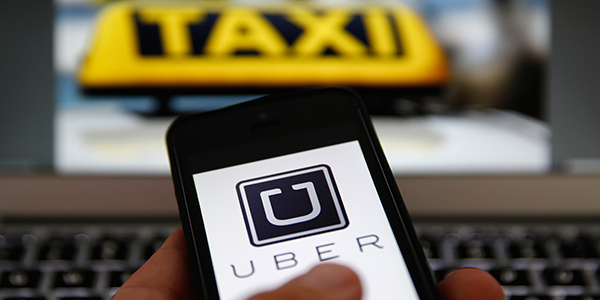 Uber has become the main alternative to a taxi cab, and it’s very popular with the younger crowd. For those not familiar with Uber, it is a taxi mobile app that allows users to arrange a ride from a local driver. What makes Uber and other transportation apps so popular is the ease of use and cost effectiveness. An added bonus is the credit card payment process through the app. Uber is available in hundreds of cities and any adult can sign up to be a driver. All drivers are subject to criminal background and driving record checks. However, since your protection is the priority, we’ve listed some options to ensure that you get to where you need to go safely and securely. To prevent imposters, Uber provides customers with driver and car information on the app. This info includes the driver’s name, a photo of the driver and the car, license plate number and the driver’s rating. This information will confirm that your ride is with an official Uber driver before you get into the car. Kayla Whaling, an Uber spokesperson, tells USA TODAY College, “We encourage (Uber users) to use all this information to verify the car and the driver before getting in. On the flip side, the driver also verifies the account holder by making sure it is the correct person.” Furthermore, the only way to hail an Uber driver is through the official Uber app, because no street hails are allowed. It is always a good idea to keep in touch with a friend or family member regarding your whereabouts, especially when you’re traveling alone. This is true no matter how you are traveling. Uber makes this an easy process with a built-in sharing feature. This feature allows drivers to share their trip route and estimated arrival time with their contacts. Once the info is shared, your friend/family member can click on the shared link and track your progress from start to finish. Researching ratings and reviews has become a popular activity for all types of customers and this is another built-in feature the Uber app provides. Uber has a rating system that encourages good behavior by both the driver and rider. Riders can rate and leave feedback about their drivers and drivers can do the same regarding their passengers. Another plus, Whaling says, is that this rating information is overseen by Uber’s safety team. Uber continues to make upgrades to its mobile app to improve safety and reliability for their riders. Follow these steps to ensure safe travels, and always listen to your intuition. If you don’t feel safe and comfortable, move on and find a ride that provides you with more security. Do you have any Uber stories to share? Please share in the comments section below. This entry was posted in Safety Tips by Robin Beck. Bookmark the permalink.